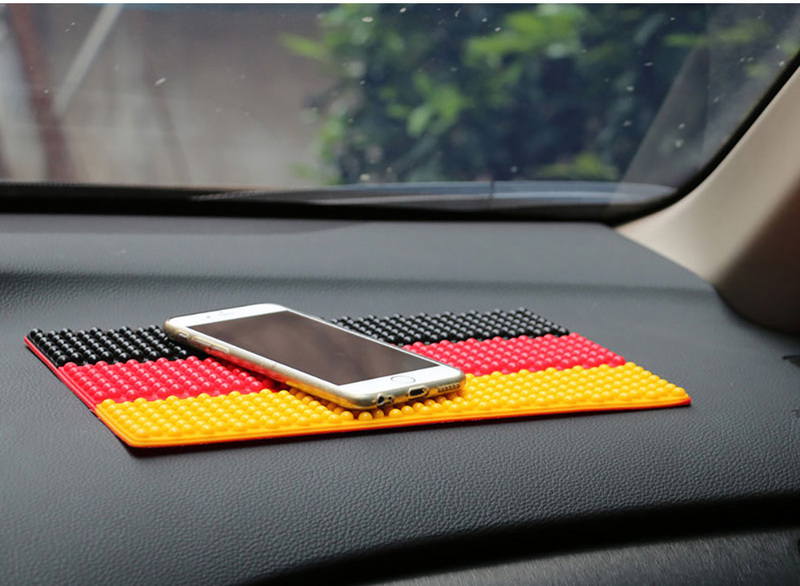 you will love to have these small and handy Ganvol Premium Anti-slip Mats on your car dashboard (even if the dashboard of your car slopes quite a bit). One for cell phone. 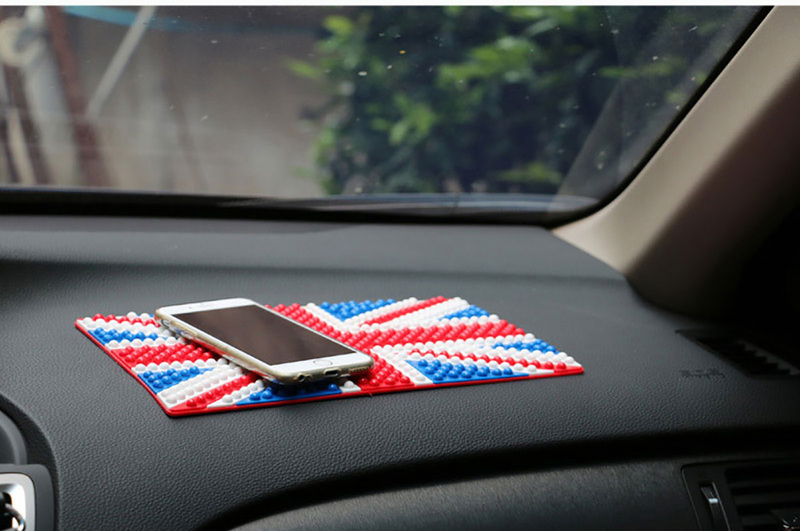 Fed up of non slip pad or gel mat that are not sticky, melt in the hot sun, smell toxic funky odor or leave gooey mess on your dash? 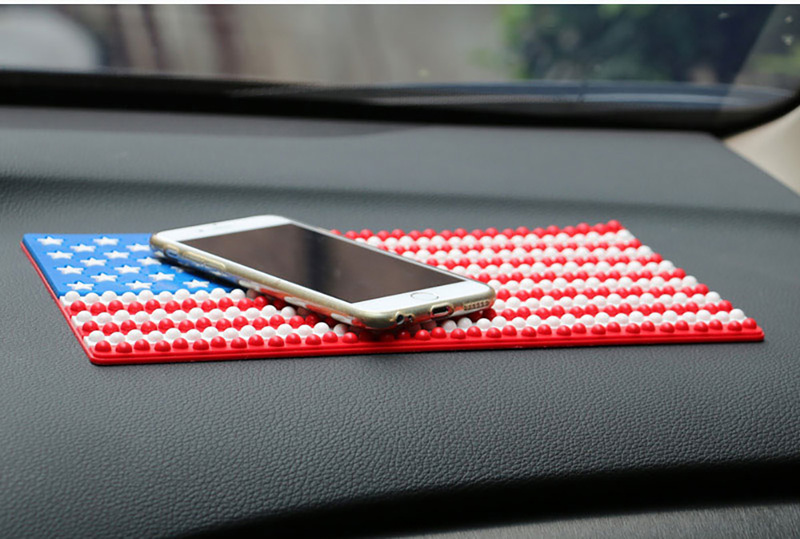 If your loved ones ever spent a whole day to remove a gooey mess of terrible "sticky" pad, get them one of these. 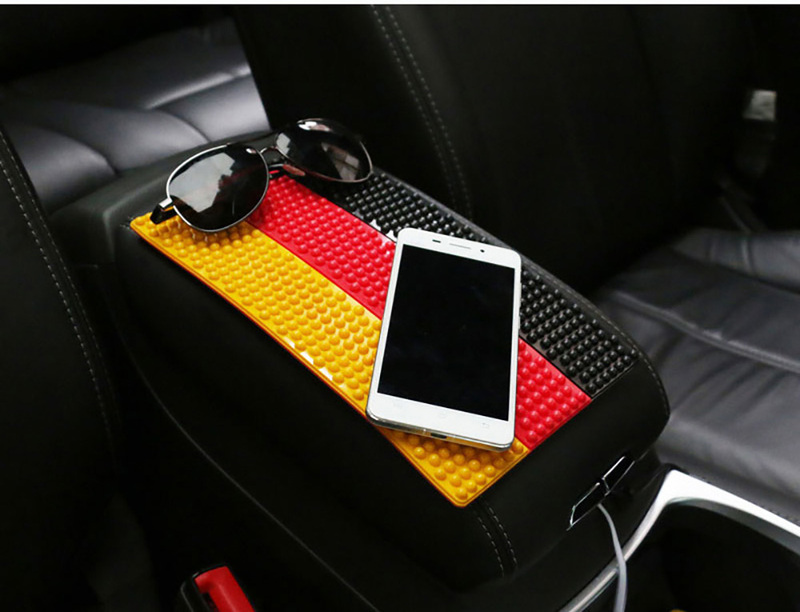 They can even absorb shock and reduce damage to your phone if your car vibrates a lot. 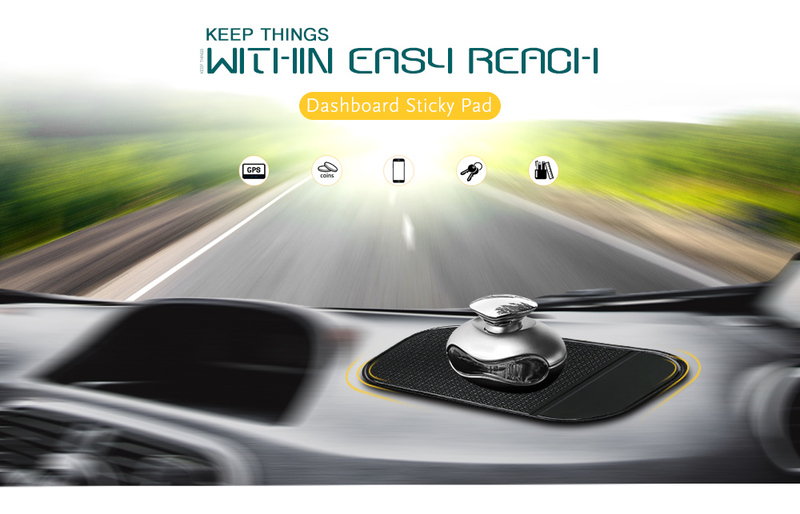 No more hard time getting the "sticky" pad to stick to the dash. 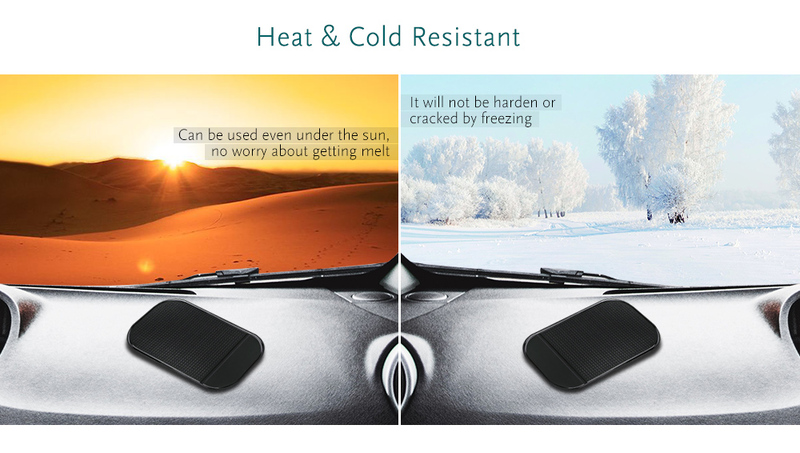 They are truely sticky, heat resistant, cold resistant, soft, flexible and super elastic! 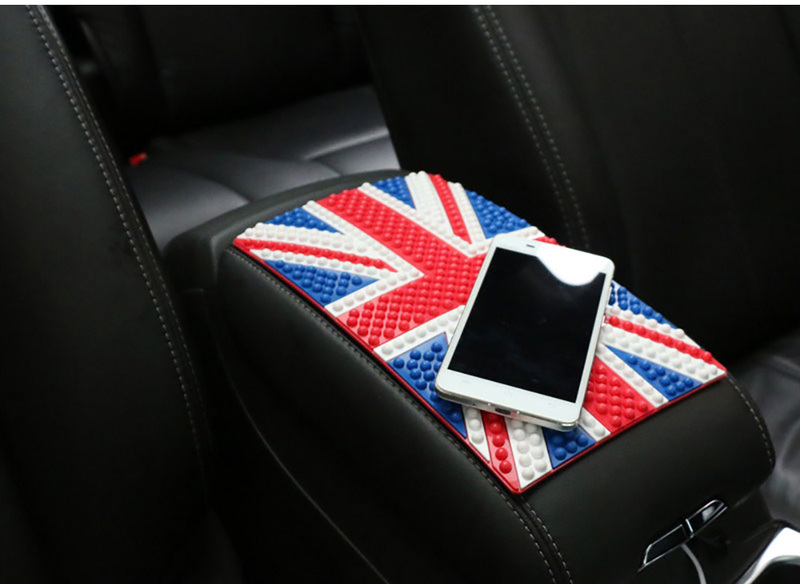 Strong adhesion: holds your mobile phone, keys, glasses, headsets, speakers, MP3 player, Laser / Radar detector, bobblehead toy, pens, GPS, HUD, cigarettes, lipstick, watches, purse, flashlight, coins, garage door opener on your dash. 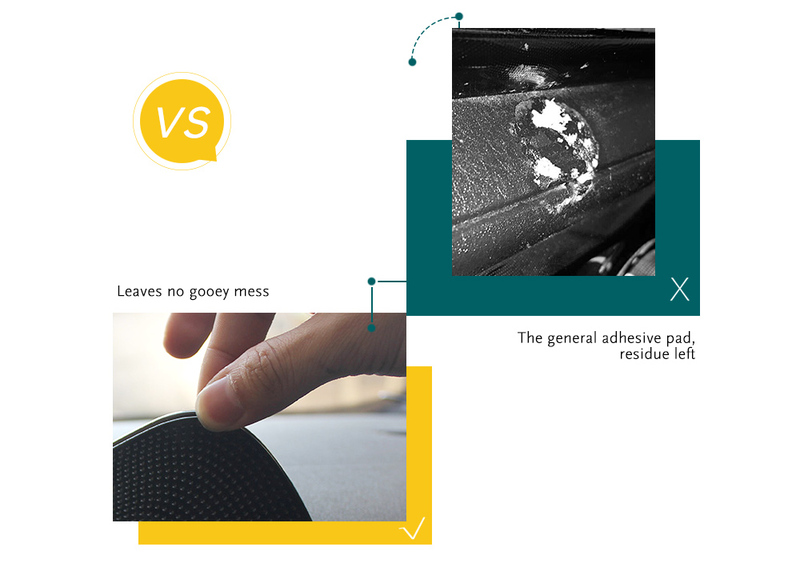 No adhesive or magnet needed in your car, truck, SUV, boat, RV counter tops, treadmill or gym any more. 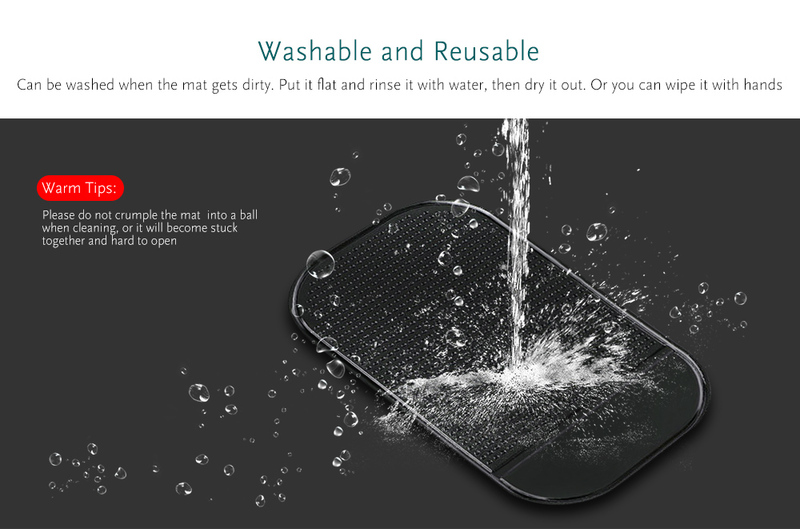 Unlike other poor mats being a permanent magnet for dust, the Ganvol anti slip mats can be washed when it gets dirty and leave no residue. Reusable over and over again. The pad can be trimmed to smaller different sizes and spaces. The enclosed cable tie is a Plus. CHEAP way to go HANDS FREE when driving and asking Siri! Tips: because it is super sticky, pulling the phone off sometimes brings the pad with it. 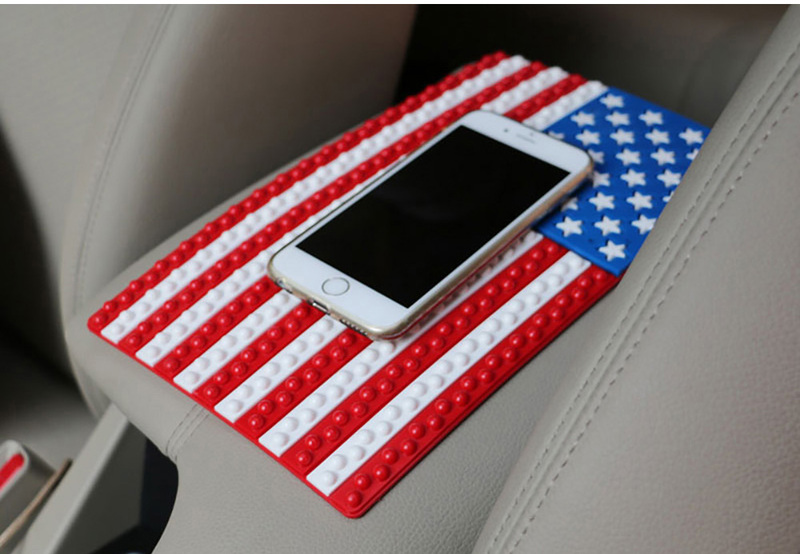 A quick solution is to simply place the edge of the your phone (instead of the whole phone) on the mat and that is enough to hold the phone in place.